The Boyana Church is situated in one of Sofia's suburb neighbourhoods which lies at the foot of the Vitosha mountain. In the past, Boyana was a small village. It was existent as early as the Middle Ages when a fortress and a castle of the governor of Sofia district stood here. 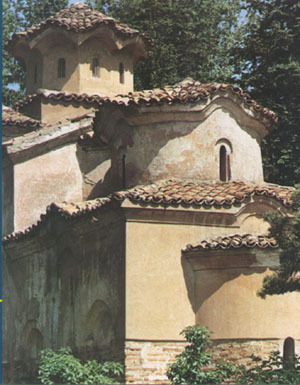 The oldest structure of the Boyana Church was put up in the 10th century. Later, the Sofia boyar, sebastokrator Kaloyan, ordered an additional two-storey building be erected next to the earlier construction. The two churches were skillfully merged. Their small size and harmoniously graded heights with the cupola above the cross-shaped section, are a rare example of church architecture. 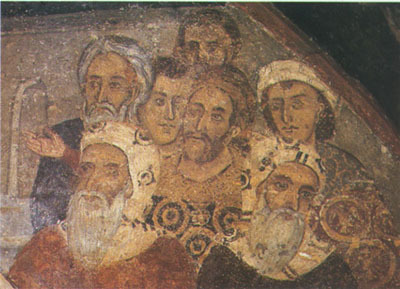 According to the donor's inscription, the church wall-painting decoration was completed in 1259. Above all, the Boyana Church is famous for its murals. It not only is one of the most marvelous and amazingly preserved monuments of East-European medieval art, but it also manifests the earliest tokens of Renaissance humanism. The paintings are executed in tempera. As required by the tradition of that time, their author did not put down his name on them for us to know who he was. His work, however, demonstrates an excellent schooling, professional knowledge and a brilliant individuality manifested in spite of the strict canon. The greatest merit of the painter's work is his deep interest in human experience, which becomes evident in the portraits of the Biblical characters. The powerful and vibrant psychological characteristics make one feel standing amidst the artist's contemporaries; these images convey the ideas of intransient and universal human experience. 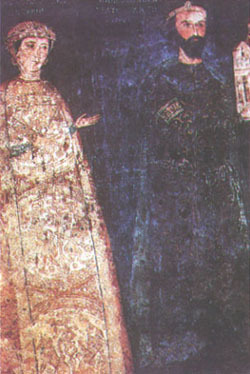 Boyana Church harbours the earliest portraits painted from life - those of sebastokrator Kaloyan and his wife Desislava, perhaps the finest woman representation preserved from the Middle Ages to our day. The artist's composition skill is remarkable. The scene depicting the dispute between Christ as a young man and the sages is a vivid example of this. The everyday life details seen in several of the Biblical characters betray the artist's desire to lend the marks of his contemporary age to them. Deep admiration for human beauty is perceived in many of the images. Among them is the figure of Archangel Gabriel in the Annunciation scene which seems to revive an ancient ideal. The Boyana Church has been studied by some of the best experts in medieval art. It has been the subject of exceptional conservation efforts. In 1979 it was put on the List of World Heritage. Bulgaria: A Country of Rich Heritage, Sofia, 1992. Bulgarian Association of Tourism and Recreation., Tourist Promotion and Publicity Centre.